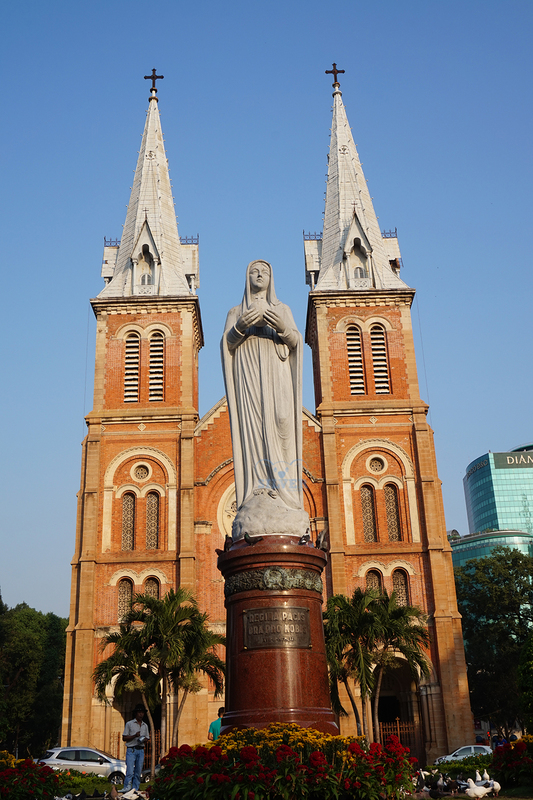 Ho Chi Minh City, Vietnam – February 2016. 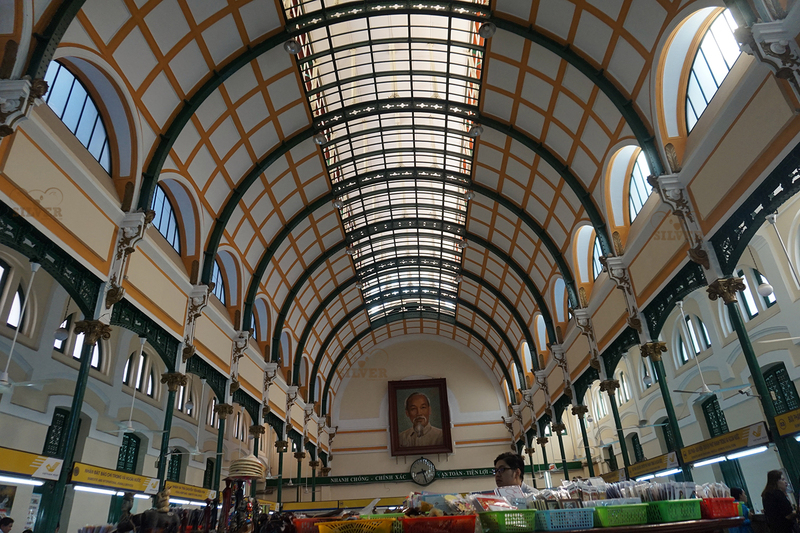 Surprisingly after my new friends left for Phnom Penh, I felt empty. I had no idea what to do, then I went to a bus ticket counter in De Tham street. 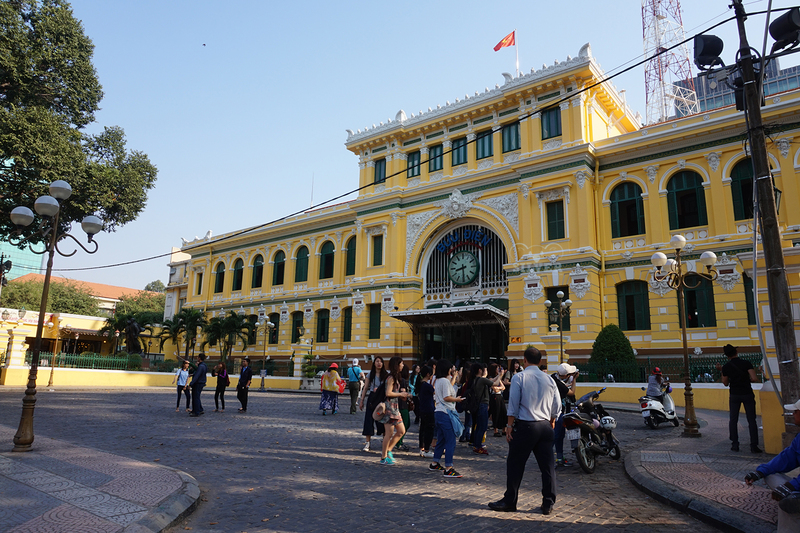 I asked the lady which destinations she has “Phnom Penh, Angkor Wat, Hanoi, and other cities in Vietnam” , I took Phnom Penh (just because it only take 6 hours to go to Phnom Penh and I was too lazy to take 14 hours bus ride to Angkor Wat). On my way back to the hostel, I remember that tomorrow is my birthday. I bought a cake, went to a road side bar, and met Michael (Irish, English Teacher, live in HCMC). Then we celebrate my birthday over 4 bottles of beer and a cake. That was the most memorable birthday in my life – Thanks dude! Yeay, 19 Feb!My birthday! Since I came to this city, I haven’t visited some local tourist attractions here. 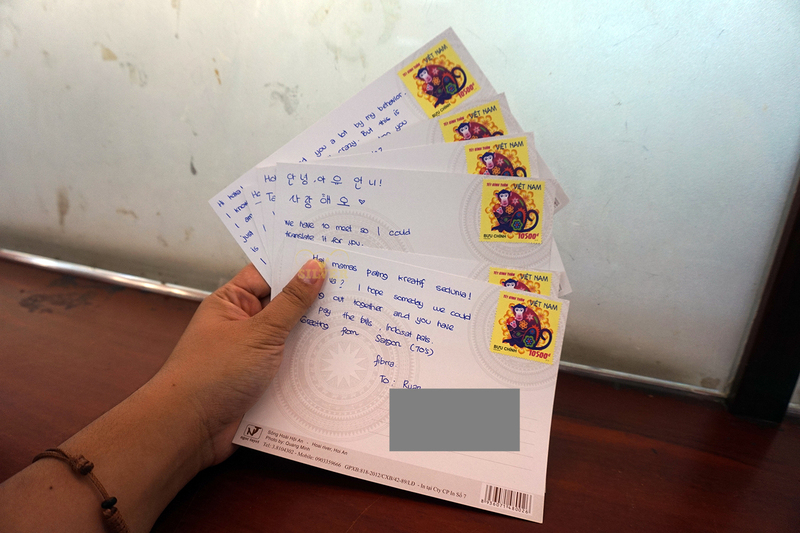 Then I went to Central Post Office at 7 am because I have to send some post cards to my Indonesian friends and my bus to Phnom Penh was at 11 am. 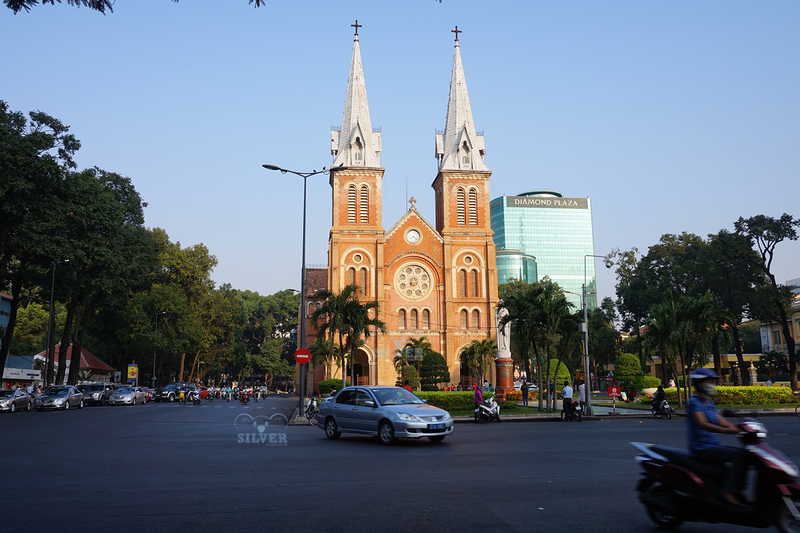 Central Post Office is one of tourism places here, and right in front of it the beautiful Cathedral Church. At 10 am, I already sat in the bus agent waiting room. I got a nice bus with wi-fi provided for VND 189.000….. To reach Phnom Penh it takes 8 hours. 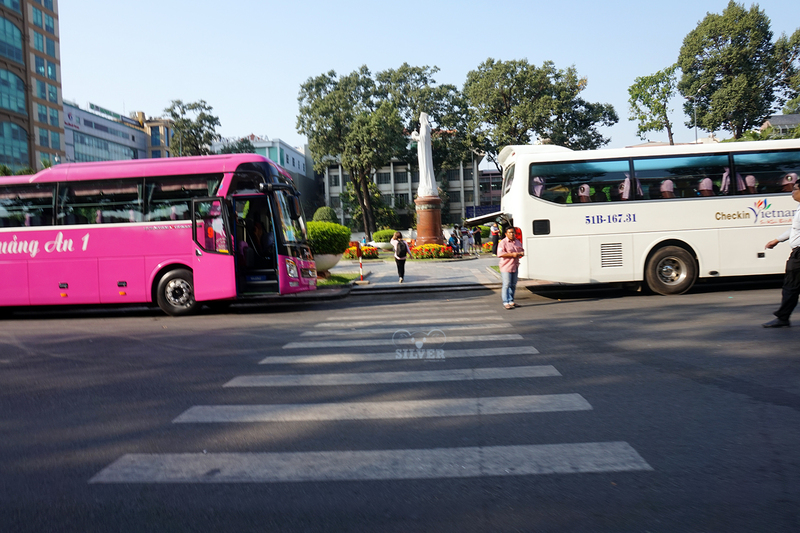 After 4 hours in the bus (with 60 km/h speed – Buses in Vietnam have a speed restriction. Yeah, 60 km/h), it arrived in Vietnam – Cambodia Border. The bus attendant collected all of the passenger passport. It was very weird. I have never given my passport to someone else when I travel. But don’t worry, he takes care of anything. 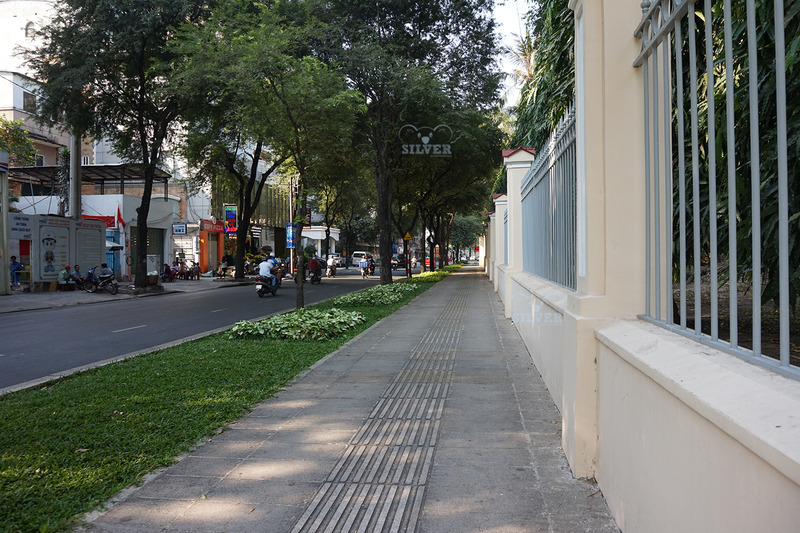 All you need to do is just walking one by one across the border when the Vietnam immigration officer call your name. The Cambodia Border isn’t less weird for me, because I just need to pass 2 rooms with no checking to enter Cambodia. After we finished this unique immigration process, the bus driver asked us to get in to the bus and took us to a restaurant in Cambodia area. Wait?? Where is my passport?? And where is the bus attendant who took my passport?? I asked another travelers who’s in the same bus as me, they didn’t know either. But since local passengers seems fine with it, maybe this is just an usual process for them. I calmed down lil bit. In the next 30 minutes, the bus attendant who took my passport came and gave our passport one by one. Another hours in this bus. I was guessing why is this bus move so slow? 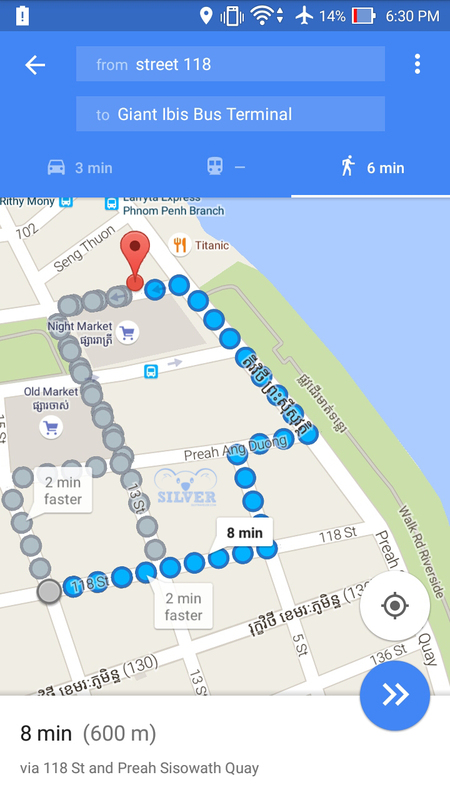 when would I get to Phnom Penh? It is already 4 hours since it left the border. Later I know that Cambodia has bus speed restriction too – 70km/h. The bus drop me off in somewhere unknown. Had no idea where to go, had no internet connection, I asked another traveler where would he go. He said that he would go to the riverside area then I remember that those awesome Indonesian girls I met in HCMC said that they stay in Dolphin Hostel, Riverside Area (USD 5/night). Perfect. 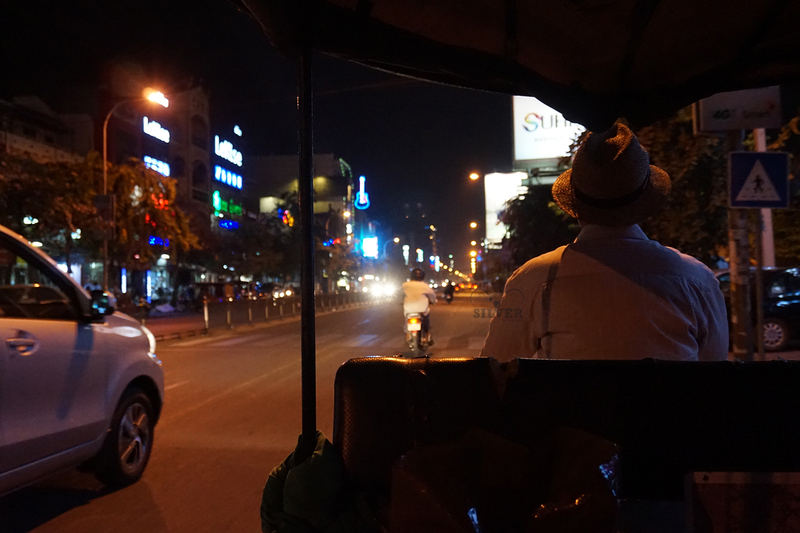 We decided to split the tuk- tuk cost (USD 3.5 – USD 1.75 each). I went to the receptionist asking for an empty bed then he brought me to the dorm room. Awesome! 18 beds in one mixed dorm room with cool air conditioner, what an awesome life! Five minutes later, the receptionist came back to my room and asked my passport. Then he yelled ” TODAY IS YOUR BIRTHDAY?”, calmly I answered “yes”. ” Awesome, my name is K-Da, go downstairs at 11pm I’ll give you free drink”, he said then left. Another guest asked the same thing “Hi, my name is Ferhat, French , what’s yours? today is your birthday? Mine was yesterday”. I said “Yes, I am Fibri, indonesian, are you sure your birthday was yesterday?”. He said yes and gave me his hat as my birthday gift. What? Another guest who slept suddenly woke up, “Hi I am Ben from Mauritius, I heard free drink and dinner, where?” Hahaha. Everything was so awesome. 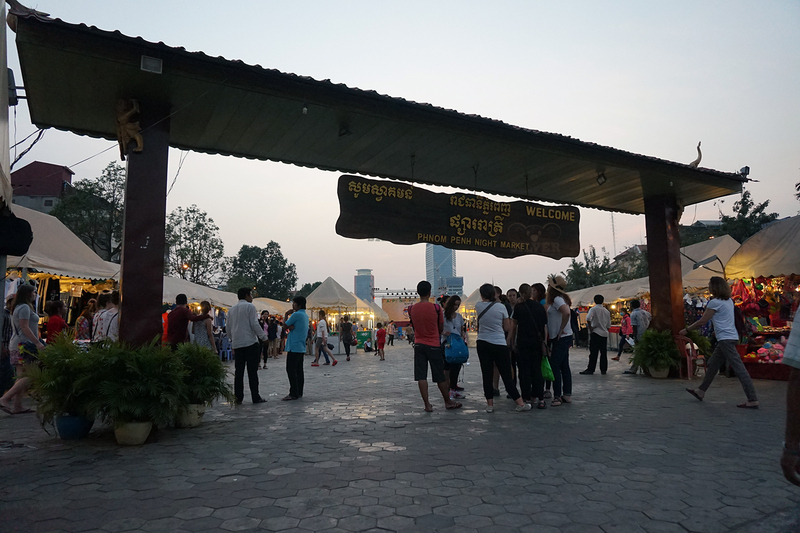 Me and ferhat went to Phnom penh Night Market to buy some food when we found a food stall whose the owner speaks french too. After eat some food I went back to my bed then tried to sleep. At 11 pm, K-Da came to our room and asked me to go downstairs. Like he said, he gave me free drink, anything I want. 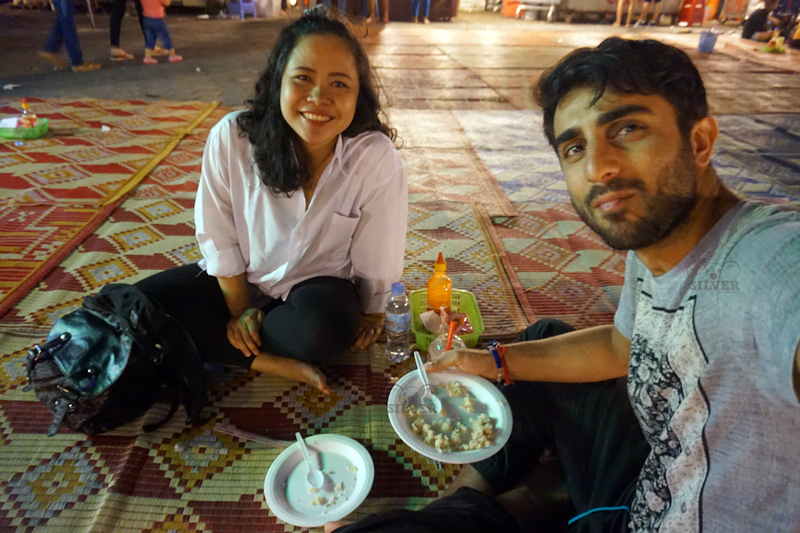 We (K-Da, Ben, Ferhat and me) spent that night talking about Cambodia and our travel journey. What an amazing birthday! This is how I know where should I go. Screenshot it in the hostel (with wifi). But the bus didn’t drop me in this terminal. Lost – Nope, it was exploration! 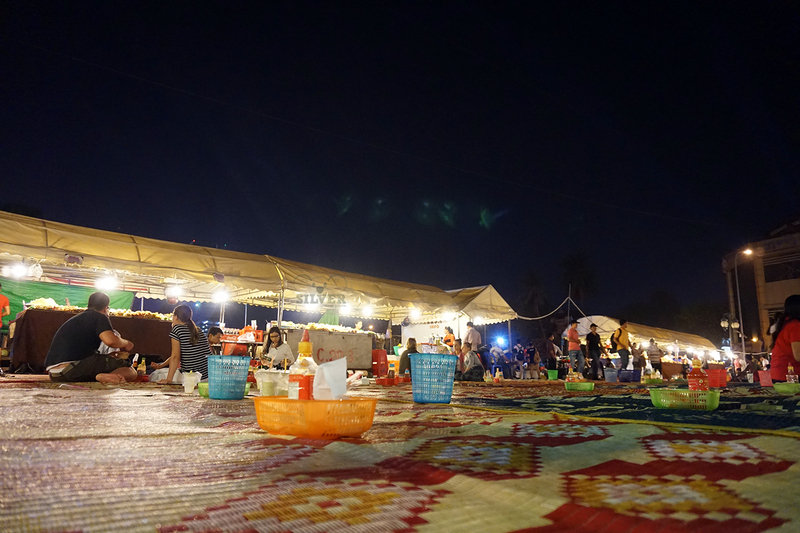 You could find cheap local food, accessories, clothes, and fried insects!